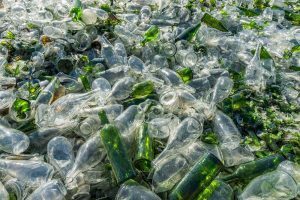 In Victorville and neighboring communities in the High Desert of San Bernardino County, private citizens and businesses turn to Ecology’s Hesperia Recycling Center for the convenient and rewarding disposal of scrap metal and CRV recycling. That’s because we feature the region’s best recycling prices, as well as a facility equipped to handle everything from a carload of recyclables to major loads of industrial scrap. And every step of the way, we streamline the process to make sure that you don’t have to go out of your way to support the needs of your community and the environment. Recycling is important for a number of reasons. First, when you turn in valuable scrap metal or CRV materials, you earn money for items in your possession that you would otherwise simply discard. 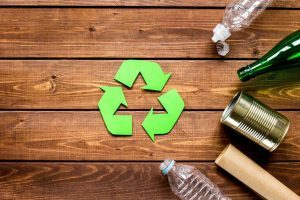 Perhaps even more importantly, by participating regularly in recycling efforts, you help reduce the amount of pollution in the local and regional air, as well as reducing the potential for extensive environmental contamination. 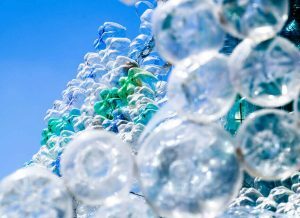 That’s because recycled materials don’t have to go through all of the drawn-out processes needed to transform raw materials into usable items. This means that manufacturing plants don’t release as much smoke and toxic gas into the air, and they also don’t need to get rid of as much hazardous waste. By recycling, you can combine good citizenship with a sometimes sizable monetary reward. The term scrap metal applies to anything metal that has outlived its original intended purpose. 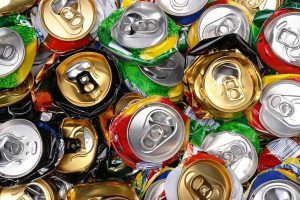 You create scrap whenever you do such things as empty a soda can, replace your old appliances, install new wiring in your home or throw out an old bicycle. You also create scrap when you replace metal window frames, replace old door knobs, replace your faucets or fixtures, or designate an old vehicle for the junkyard. Recycled scrap metals can be divided into two categories, known as ferrous metals and non-ferrous metals. Ferrous metals contain iron and/or steel, a material that has iron as its primary ingredient. (Stainless steel is an exception; it counts as a non-ferrous metal.) Some items in this category only contain iron or steel, while others also contain at least one non-ferrous metal. Ferrous metal scrap items in your personal possession may include damaged or non-functional vehicles, as well as certain types of older or outdated appliances. Items more likely to come from a business or industrial source include metal offsets and structural steel from a wide variety of buildings. Ferrous metals are magnetic, and you can easily identify them by passing a magnet over their surface. When you recycle, you don’t make as much money from ferrous metals as you would from non-ferrous metals. Still, you will make something. In addition, you get the satisfaction of knowing your scrap will be properly recycled and reused. We accept both iron and steel at our recycling facility. 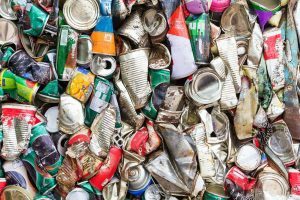 The California Refund Value, or CRV, is the amount of money you redeem at recycling centers in the State of California when you turn in containers made from certain common materials, including aluminum, plastic, glass and cans made from layered metal (i.e., bimetal cans). When manufacturers sell these beverages, they add an identical or similar amount to the overall purchase price. This means that by recycling CRV items, you essentially get back money you’ve already spent. 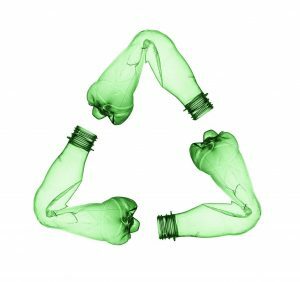 This incentive is intended to increase the odds that the general public will take part in recycling programs. Upon request, recycling centers pay by piece when you turn in relatively small amounts of qualifying CRV materials (50 containers or less). However, you may receive a weight-based payment for larger quantities of items. At our recycling center, we accept glass containers, plastic containers and clean, dry aluminum cans. 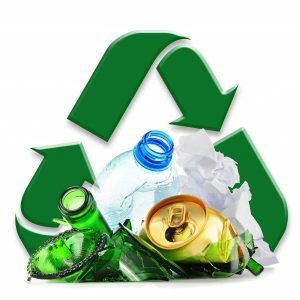 At Ecology, we want to make sure that area residents and businesses have an equal chance to take part in recycling, and also have an equal opportunity to make some money as a result. That’s why our location serves the entire High Desert community, both private and corporate. Industrial clients in particular like to take advantage of the center’s ability to recycle large amounts of materials. If you like, we can deliver roll-off bins directly to your business, corporate or industrial address. When you’ve filled your bin, we’ll also pick it up and haul it back to our facility. We have bins available in a range of sizes and types for your convenience. Feel free to contact us if you have any questions about the suitability of any items you want to drop off. With more than 121,000 residents, the City of Victorville forms a vital part of the High Desert in San Bernardino County. Along with the neighboring communities of Hesperia, Apple Valley, Adelanto, and Phelan, the city is situated in the Mojave Desert’s Victor Valley east of Antelope Valley. Originally settled in the mid-1800s, Victorville currently ranks as the High Desert’s third largest municipality. In the last half-century, the city and the surrounding area have served as indoor or outdoor filming locations for more than a dozen major Hollywood productions. Ecology is proud to serve the residents and businesses of Victorville at our conveniently located recycling center near Victorville. Whether you need a place to turn in your household recycling or a place to turn in tons of industrial materials, you’ll find us equally well-equipped to handle your needs. Call us today to hear about our outstanding recycling rates on both ferrous and non-ferrous scrap metals.